Just Ask Baby is a social networking website aimed at new parents. It features video content for various children's areas of development and age groups. 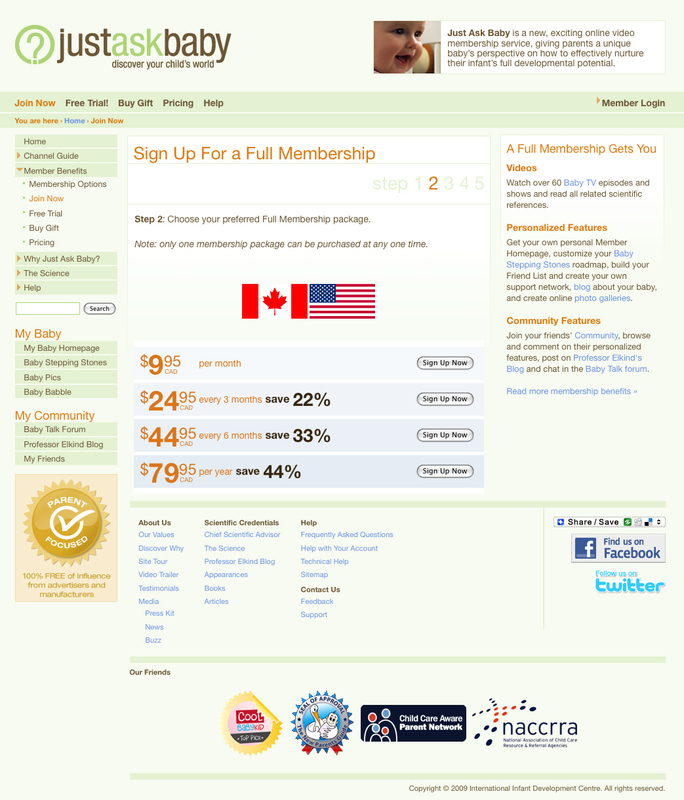 The site is subscription-based, so Ubercart was used to provide the e-commerce. A custom gift-memberships module was written to handle gift subscriptions. A payment-handling module was developed for transactions going through the Mirapay payment-gateway service. Additional integration includes the services of PayPal, Silverpop, Limelight, Omniture, and others. Overall, over a dozen custom modules were written to support this website. I was responsible for the majority of development & implementation.